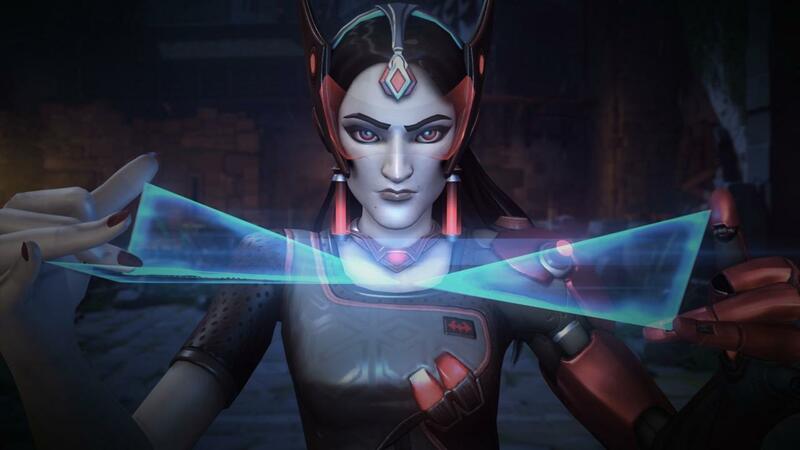 Symmetra has long been a thorn in the side of Overwatch developers. They've tweaked her quite a bit since her launch iteration, but they still can't seem to really figure out what they want her to be -- a defense character or a healer/support. To help shed some light on what she might be changing to next, developer Geoff Goodman explained the situation on the official forums: "We currently have moved her to Defense. We tried a healer version which had her turrets healing instead of dealing damage, but it felt super awkward, especially with how fast Overwatch moves. That said, we are playing with a new way her turrets deploy. Instead of having to stick them directly onto a wall herself, she can now fire an un-deployed version like a projectile, which sticks to walls/ceilings/etc. Once it sticks, it will unfold like it does on the wall currently when she builds them. This helps for a bunch of reasons but one of the big ones is that it makes it a lot easier to play her on offense or just be able to preposition her turrets much more easily/quickly." There seems to be a lot more on the way than that, including alterations with her primary and alternate fire and the way her ultimates work. Symmetra has always been a viable pick, the thing is she has a monumentally low pickrate at certain skill levels -- this classification may be the bump she needs to start getting out there more.